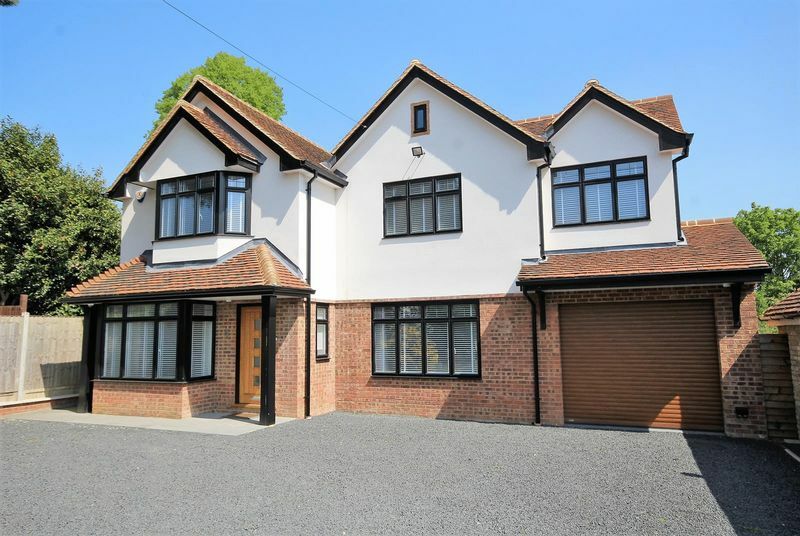 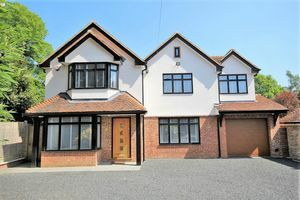 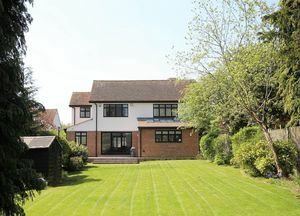 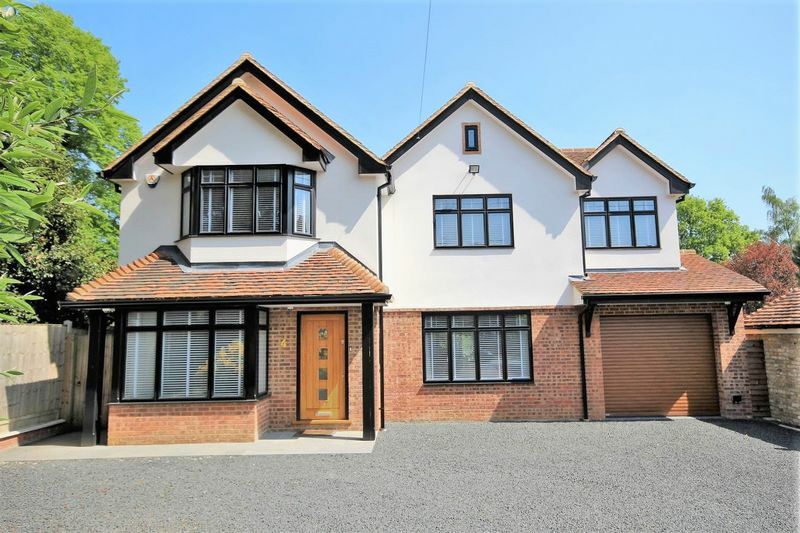 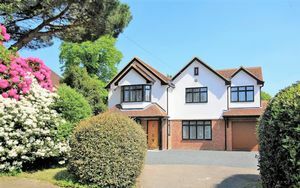 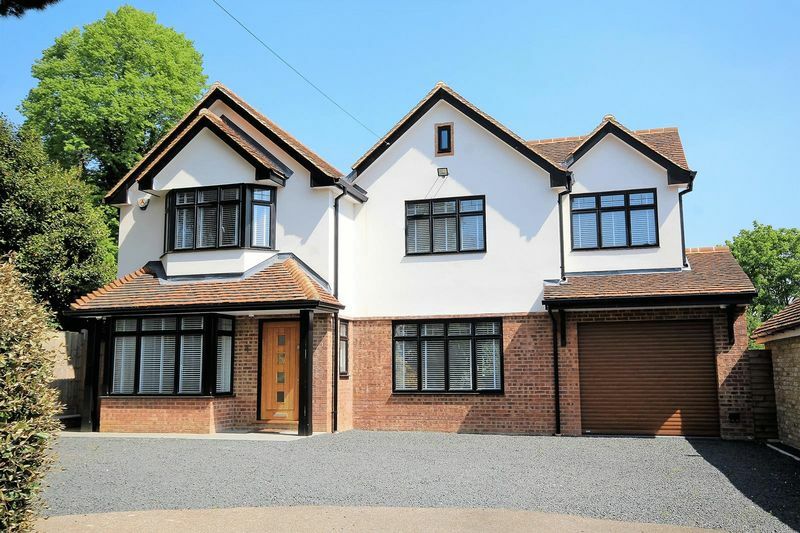 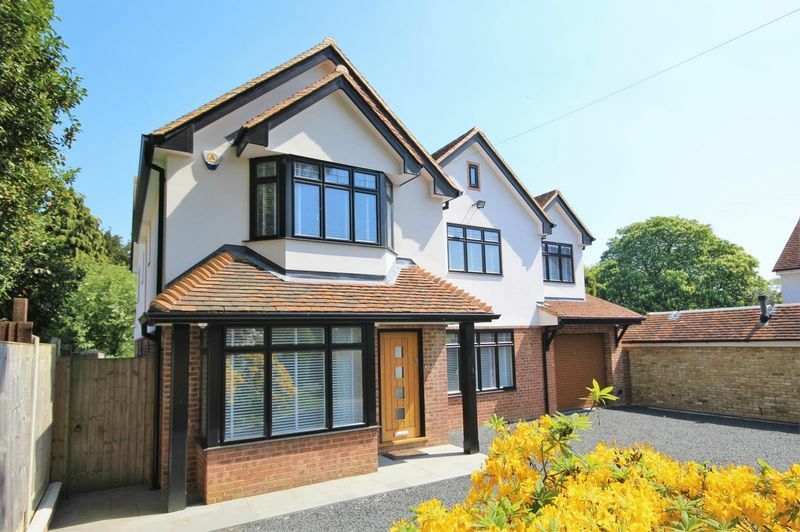 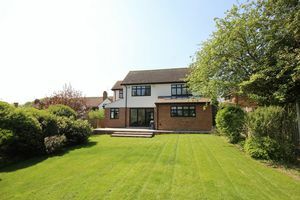 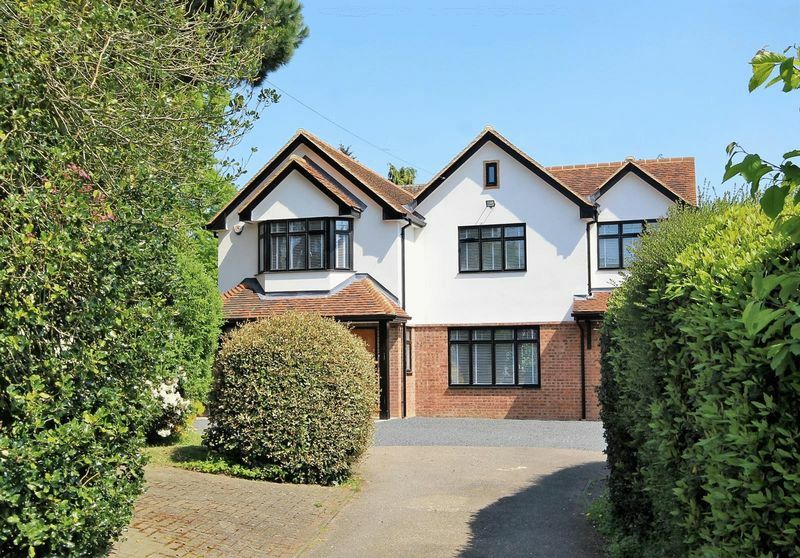 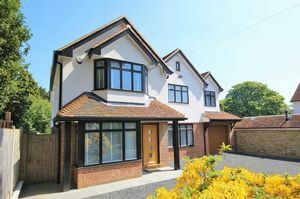 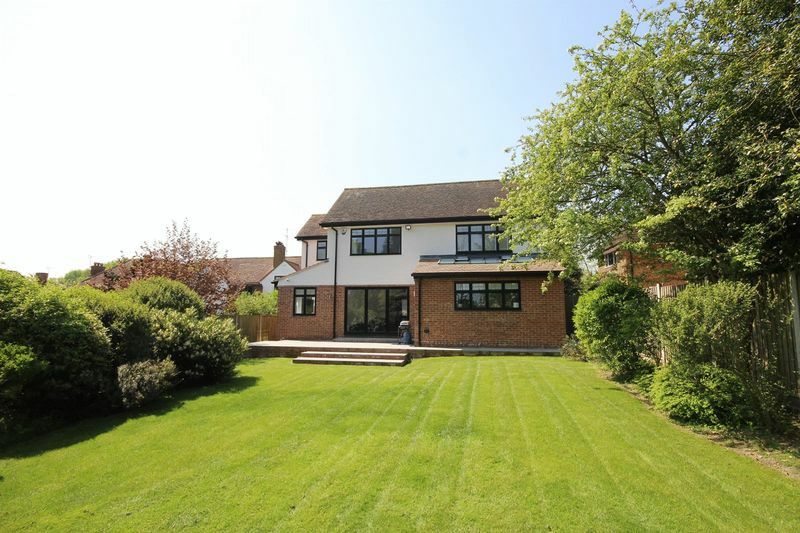 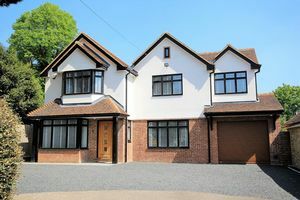 An impressive detached family home standing in 0.27 acre, set well back from the road with a deep 81' front garden and situated within one of Old Shenfield most desirable roads which is conveniently situated for Brentwood School and Shenfield mainline station which are both less than one mile away. 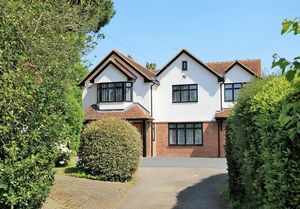 The accommodation is well laid out with a spacious reception hall, study/reception room, lounge, kitchen/dining/family room, laundry and cloakroom. 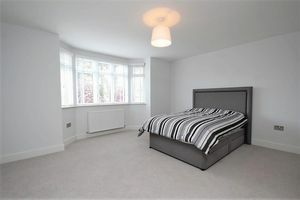 On the first floor there are five spacious bedrooms, two with en-suites and a luxuriously appointed family bathroom. 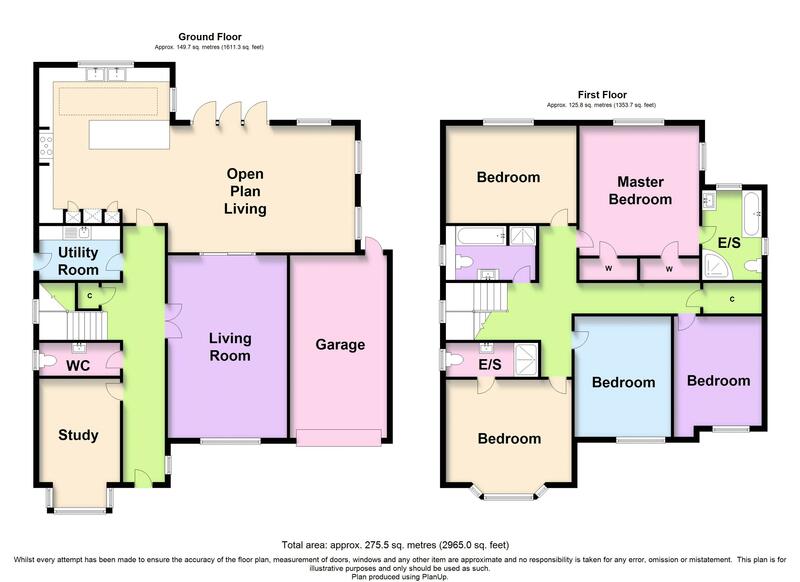 The master bedroom enjoys 'his and hers' walk-in wardrobes and a dual aspect to the side and rear. 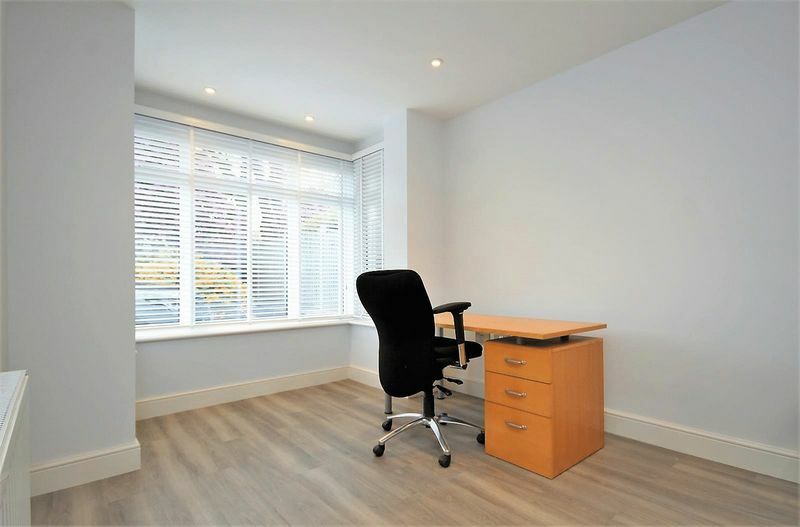 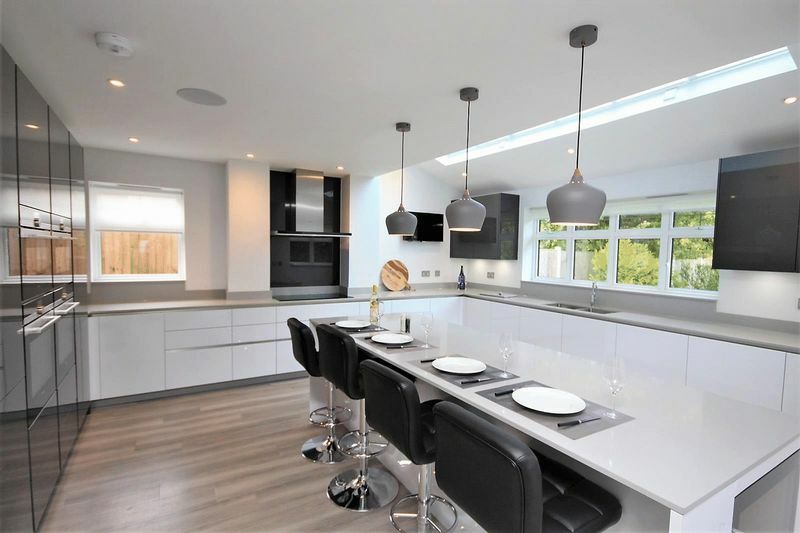 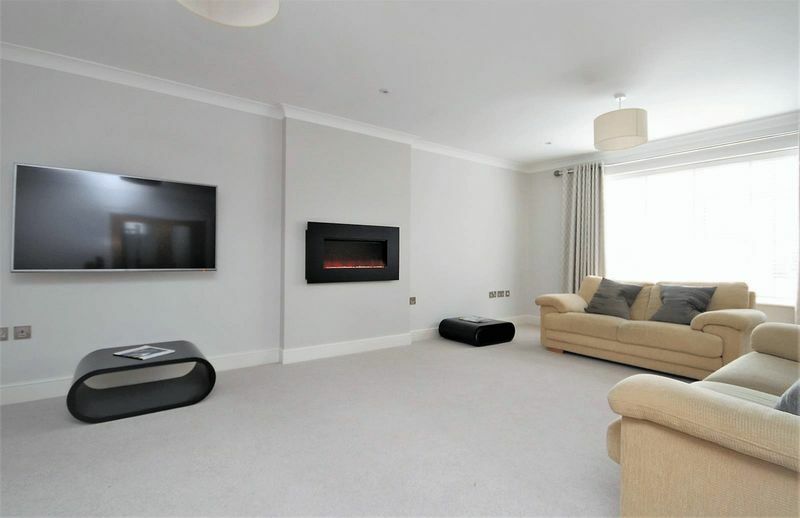 The property has been well designed with a high end specification including multi media wiring, cctv, security alarm, Duravit sanitary ware and a luxurious kitchen fitted by Hutton Kitchens complete with Siemens appliances. 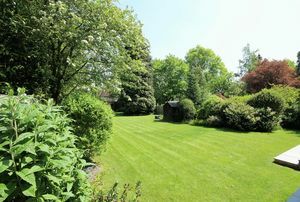 The established rear garden is 140' and the property also benefits from a good size integral garage with water softener. No onward chain. 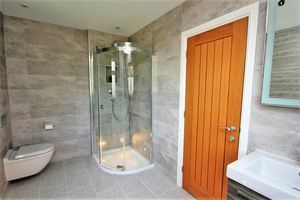 EPC C.
Hardwood entrance door with glazed inserts. 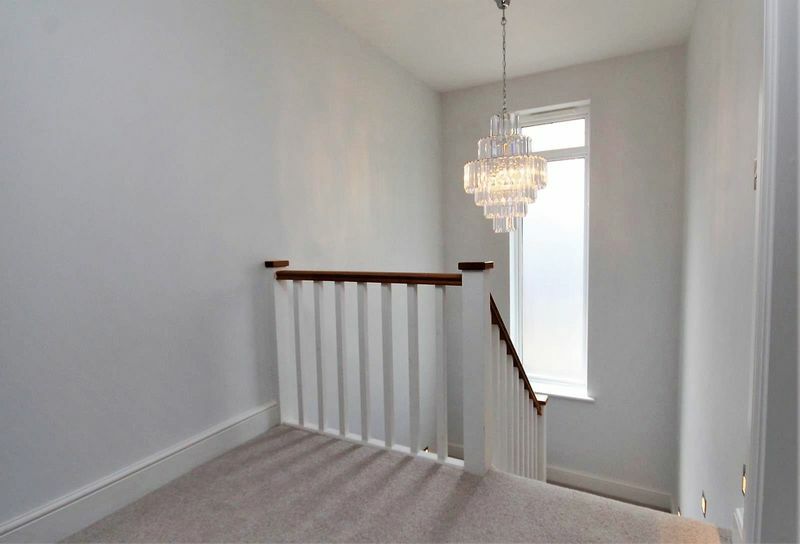 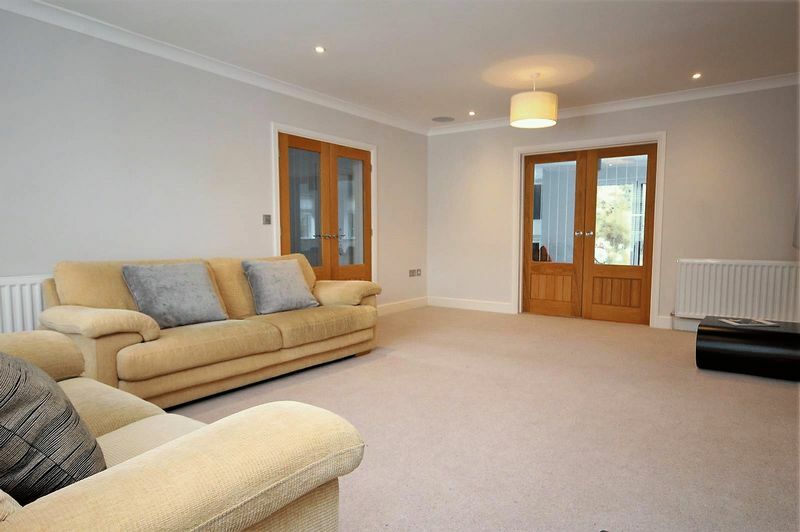 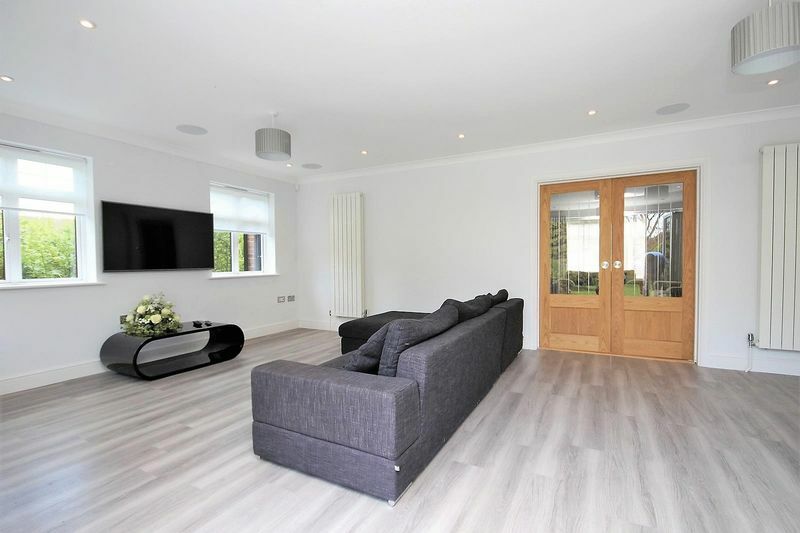 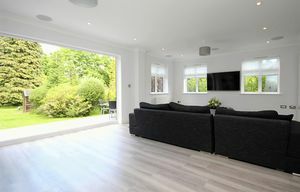 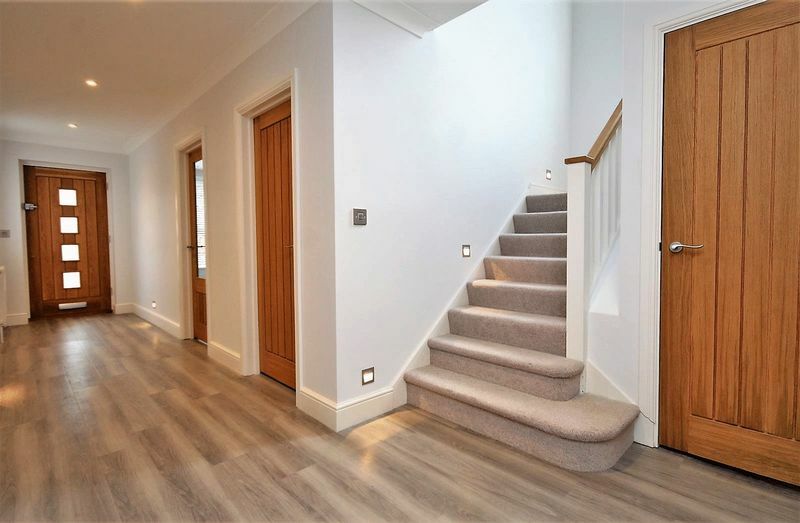 Amtico flooring, low level feature lights which continue up the stairs, coving and spotlights to ceiling, radiator, part glazed hardwood double doors to lounge and kitchen/family room. 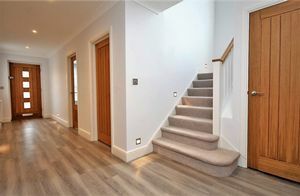 Solid hardwood doors to remaining rooms. 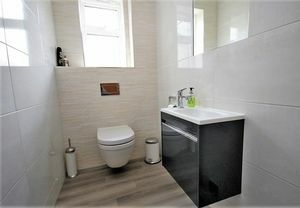 Suspended back to wall WC, rectangular wash hand basin with monobloc mixer tap and cupboard underneath, ceramic tiled walls and floor, window to side aspect. 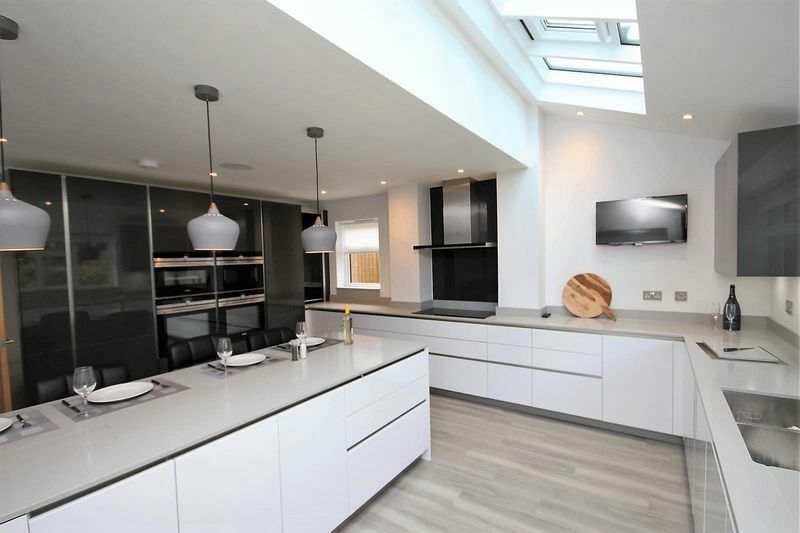 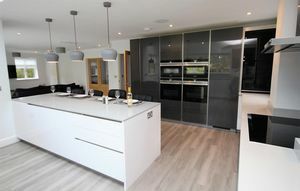 Modern contemporary fitted kitchen by Hutton Kitchens, two tone grey and white high gloss base and wall cabinets complimented by quartz work surfaces, with part part vaulted glazed ceiling with electric openers and triple aspect windows to the rear and side. Peninsular unit with pop up power supply and breakfast bar area with three pendant lights above. 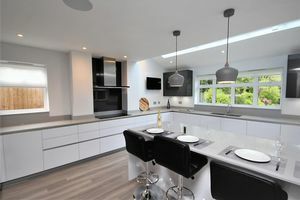 Combination of fitted pan drawers and cupboards, appliances include Siemens twin ovens, combination microwave, steamer oven, integrated larder fridge and matching freezer. 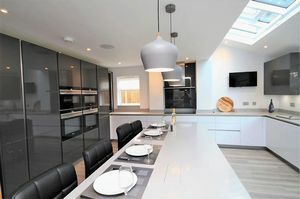 Siemens induction hob set in a chimney style recess with glass splash back and cooker hood above. 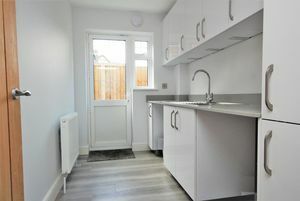 Twin bowl stainless steel inset sinks with Quooker rapid boiler mixer tap. Two recessed ceiling speakers and Amtico flooring. 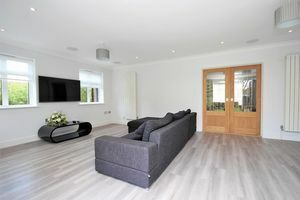 Open plan access to dining area with bi-fold doors overlooking and leading to terrace. Matching Amtico flooring, five recessed ceiling speakers and fitted sub-woofer. 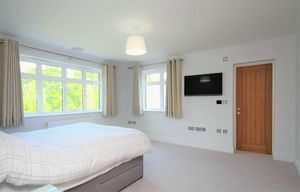 Two double glazed windows to side and further window to rear, two modern vertical radiators. 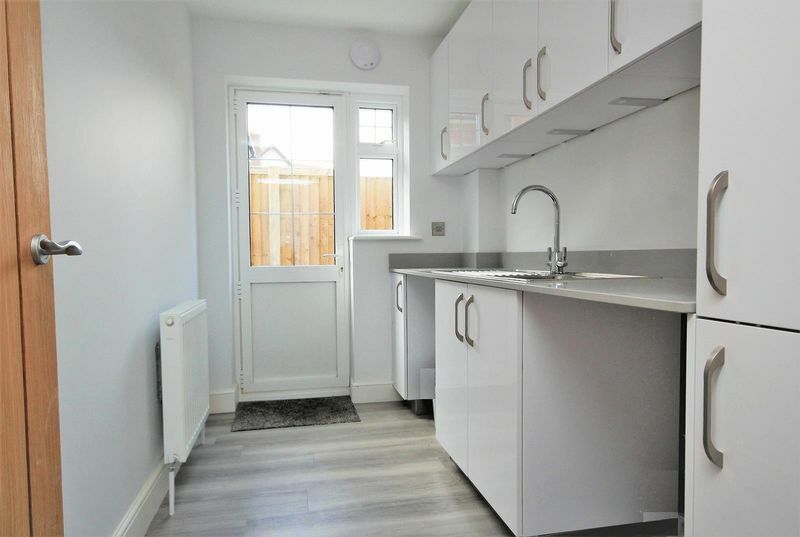 Fitted base and wall cupboards, space for washing machine and tumble dryer, single drainer stainless steel sink with swan neck mixer tap, granite work surface with up-stand, Amtico flooring, radiator and door to side. Double glazed square bay window to front, Amtico flooring and radiator. 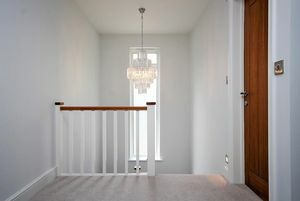 Tall double glazed opaque window to side aspect, access to the loft with wooden loft ladder, light connected, part boarding and insulation. 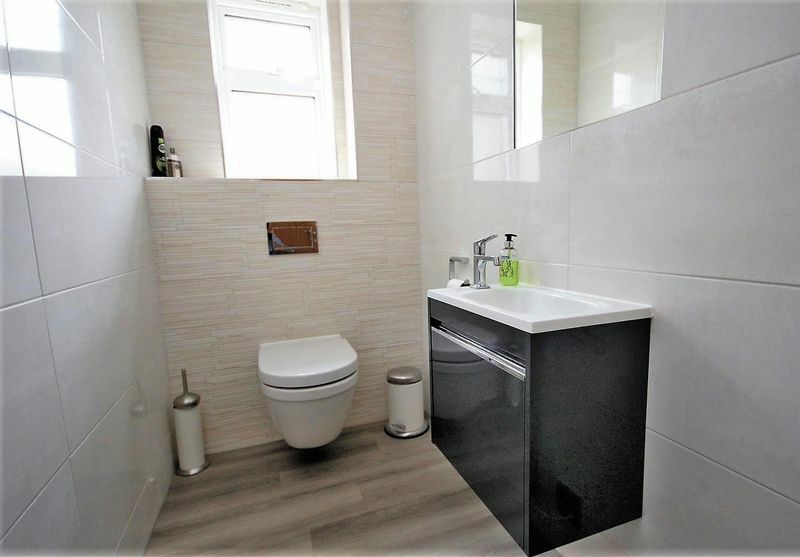 Luxuriously appointed with ceramic tiled floor and walls, recessed wall lighting with automatic sensor, bath with wall mounted tap controls and hand shower, corner shower cubicle with with digital shower and recessed low level lights. 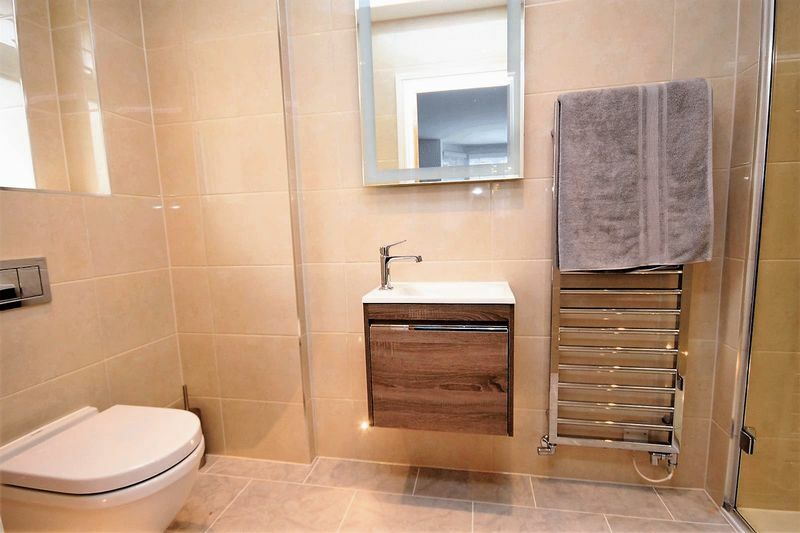 Suspended back to wall WC, rectangular shaped wash hand basin with Starck glass mixer tap and cupboard beneath. 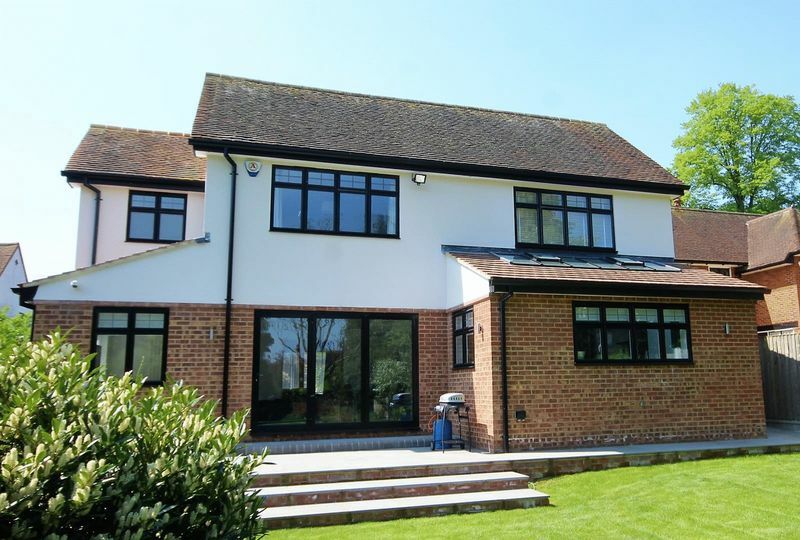 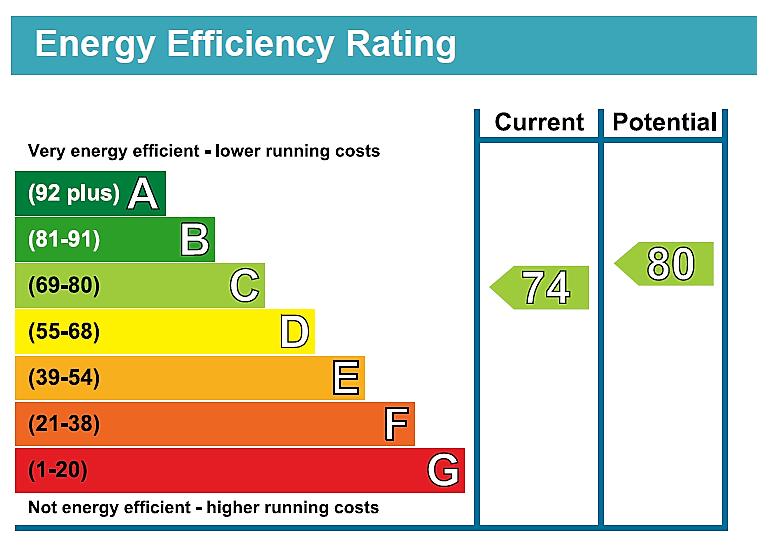 Under floor heating and dual aspect windows to side and rear. 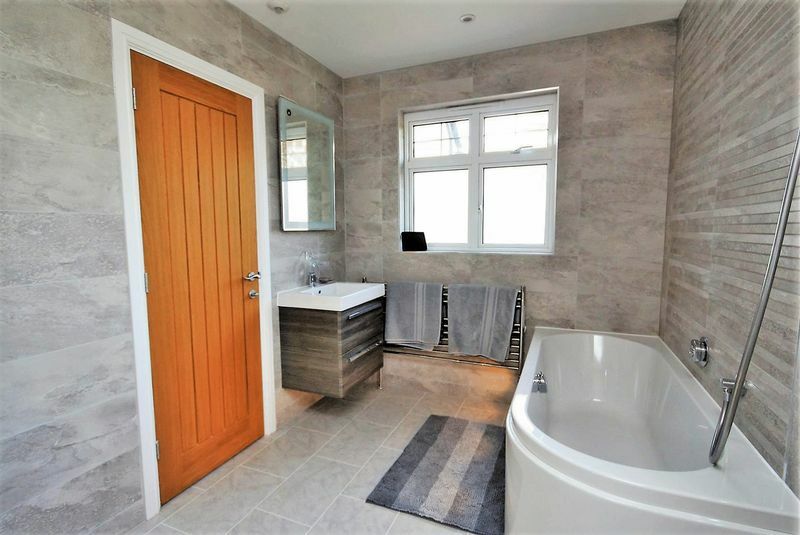 Ceramic tiled walls and floor, wide shower cubicle with digital shower, suspended WC, rectangular wash hand basin with Hans Grohe mixer tap, recessed skirting lights and spotlights to ceiling with automatic sensor, chrome heated towel rail. Window to side aspect and underfloor heating. 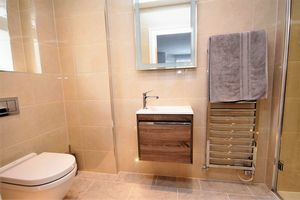 Dual aspect to side and rear, radiator. 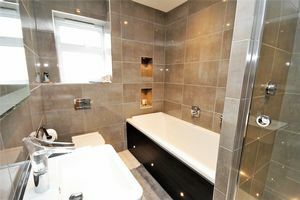 Luxuriously appointed with automatic light sensor, spotlights to ceiling and bath panel lighting, bath with wall mounted tap control and hand shower, two illuminated recesses above, wide shower cubicle with digital shower, skirting lights, back to wall suspended WC and rectangular wash hand basin with Starck glass waterfall tap. Ceramic tiled walls and floor with under floor heating. 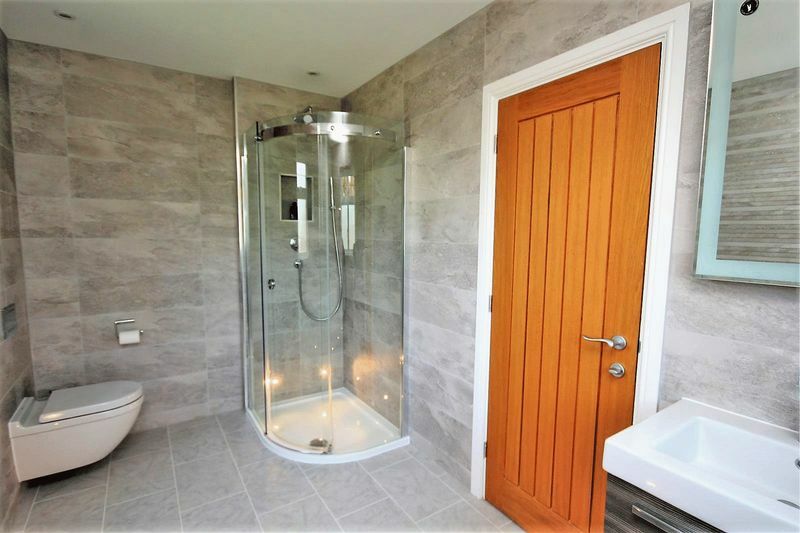 Electric remote control roller door, wall mounted Worcester boiler, fitted water softener, part glazed door to rear. 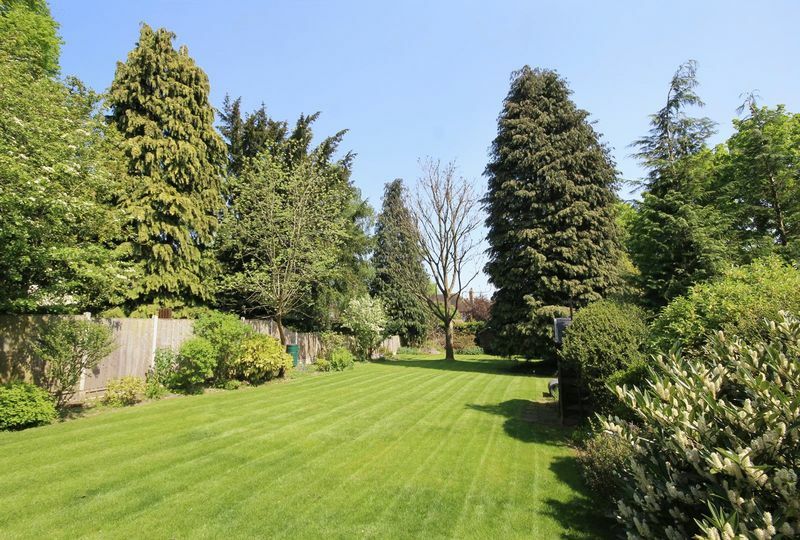 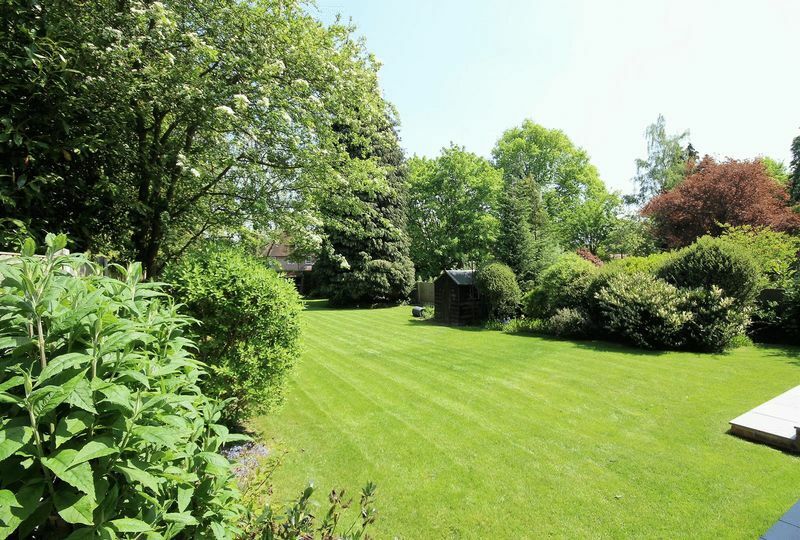 The property stands in 0.28 of an acre, and enjoys a deep frontage of 81' (24.68m) with driveway bordered by established shrubs and generous parking area, side access via a timber gate leads to the rear garden, which measures 140' (42.67m) and commences with paved terrace and BBQ area, large lawn with mature shrub borders and timber shed.